"I've met some people who swear they've seen Bigfoot... I've heard stories from people who... you have to believe them." Continental Cousins – The Return of the European Nessie! Loch Ness is possibly the most famous body of water in the world, surpassed in fame only by its alleged monsters, that have been making regular appearances in the loch for almost 1500 years, starting with St Columba's encounter in the river ness, in 565 AD. The loch, which was largely inaccessible, without travelling over the mountains, was opened to the eyes of the public, one might say, when a road was built into the side of the mountain in 1933; followed shortly after by a rash of sightings of this now infamous beast of the Scottish Highlands. “CRYPTOZOOLOGIST” set to be the benchmark for all cryptozoology documentaries. “Cryptid witnesses often find themselves struck with fear and anxiety counted among other negative reactions to an encounter with an undocumented animal. 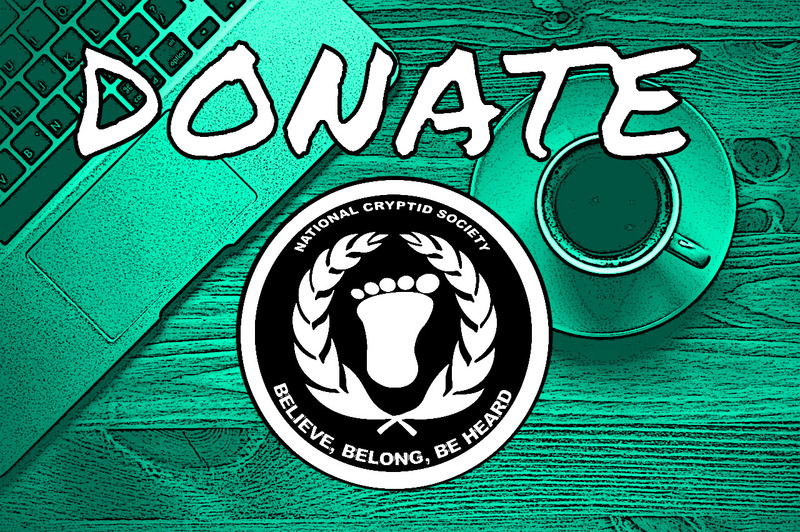 They report a wide range of symptoms that include hyper-attentiveness, impulsiveness, verbally blurting out, being easily angered or confused, becoming unusually argumentative and acute apathy..."
The National Cryptid Society Facebook Community voted on a new logo for the NCS today. The above two designs were presented to the community on July 4, 2017 and voting was completed July 5. Something was breathing outside my window so loud it woke me out of a sound sleep. My step mother confided in me she saw a tall hairy man run across the back yard at night.